Names are a langugae material of special qualities. Not different from the appellative lexis of various languages, names have only been passed on since the beginning of a written tradition in epigraphs and literary monuments of all kinds. However, because of their age they often go far beyond the language state recorded in the respective texts. That is to say, they often live on within these language phases as non-homogeneous word material not identical with its origin, like fossils of an early, bygone time preserved in rock. Place names are in this sense most important and informative, in any case more so than the names of persons and gods. Place names are indigenous, tied to an area; place names are here understood in the broadest sense: the names of rivers and mountains, of regions and settlements. And for research it is a valuable and well-known fakt, a rule, not very short of a law, that place names are maintained with great stubbornness inspite of a change of the population, that they do not disappear with such a change, but are in most cases taken over by the new lords of the country. Although not understood, they are kept and integrated into the new language so that they continue to exist, just like fossils. The names of lakes and rivers have turned out to be the most durable and ancient of all proper names, more durable than the names of settlements, more ancient than the names of mountains. In many parts of Europe they are the earliest witnesses of human history and existence. Many place names which can hardly be analysed today point to an old age. They are so to speak relics from prehistoric times, and they can be called the oldest evidence of human language. Old written records of place names stem from church or notary documents which were drawn up in Latin. A precise form cannot always be gained from these sources, because the writers often used several variations, that is to say different, similar sounding forms for the same name. How actually reliable are these old records? Old phonetic transcriptions represent nothing but the attempt to lay down a place name in writing which up to that time had only been passed on orally. Place names passed on by word of mouth and emerged from dialects are older than the oldes phonetic transcriptions. They are subject to variations characteric of dialects, and it is diffcult to record them in a precise form before they are fixed in writing, particularly if they are relics of long lost manners. Many place names that can hardly be analysed today hint at manners not known any more when the historical languages were in the making. In the course of time, they had lost their original meaning and could therefore not be recorded any more in the developing language. It frequently happened that these place names were put on a level with similar sounding names which, however, had a completely different meaning in the new language. Giving names to open fields, places and rivers before they were fixed in writing must have been of great importance because, only when they had a name, could these be identified, located and distinguished from each other. It must be assumed that for identification and localization new settlements were given names immediately after their foundation. The name of a settement was supposed to stress characteristic features that were connected with the beginning of the settlement and not with the end of its development. The name of the area (the determined location) chosen for the settlement must have played an important part for the name of the new settlement. This location was known before founding the new settlement, and therefore it already had a name. The naming of new settlement should therefore stress characteristic features concerning the location of the settlement. This development is still confirmed today by the many places that owe their names to lakes and rivers. Theses names belong to the original landscape and have to be classified as very old. Thanks to the qualities hinted at, the names of lakes and rivers are among all linguistic sources particularly suitable for following the process of human language in the making and to reconstruct it in its phase of coming into being. Geomorphological forms can be used for naming lakes and rivers, and many names of open fields, settlements, landscapes and mountains come from these forms. In this book many variations of these names are presented, varieties coined by dialects. 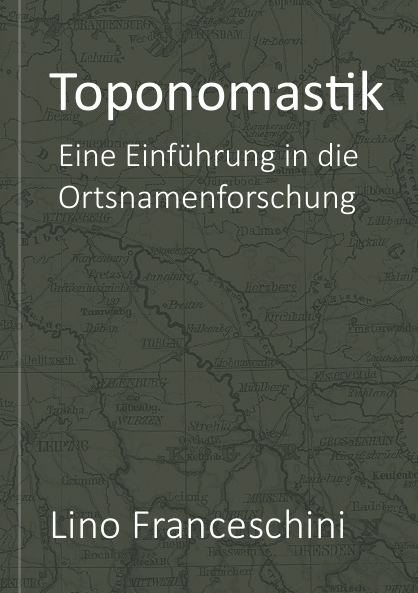 This collection has the purpose to offer clues for the explanation of place names from geomorphological names. Besides that, it is supposed to show how full of nuances the naming of a river or a lake can be, and how the theory of the coming into being of language can be confimend by these forms. Purpose of this collection is also to offer clues for an attempt to explain, to follow and to reconstruct the coming into being and the development of language. 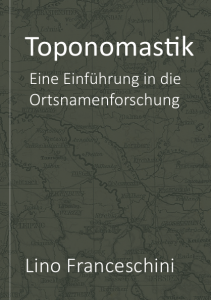 Also the not purely geomorphological forms are supposed to contribute; they were selected to show the possibilities and varieties of forms that come from natural names and have opportunities for development.